Do you want to know about the various designs as well as genres of tattoos? Browse through the list of books on tattoo, given in this article. When it comes to body art, how can one not talk about tattoos? A craze that dates back to the prehistoric times, but has come back in vogue forcefully since the past few years, tattooing serves the purposes of decorative body modification. In the present times, tattoos are often known as tattoos as Ink, Tats, Art and even Work, while the tattooists are referred to as Artists. Are you interested in exploring the body art further? Do you want to know about the various designs as well as genres of tattoos? If yes, then browsing through the tattoo books, also known as tattoo readings, will be the best bet. 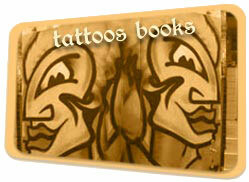 Go through the following lines and get a list of some of the most popular books on the body art of tattooing.